Today we have good news for all those who are going to Plakias in the near future. 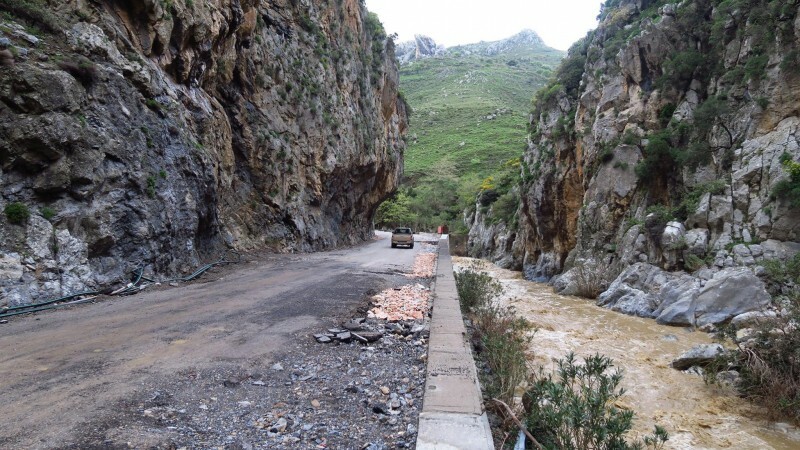 Yesterday, the possibility of crossing the road through the Kourtaliotiko gorge was temporarily opened, which was destroyed at the end of February during spring heavy rains. However, when choosing this connection, keep in mind that the road still does not have an asphalt surface or an appropriate marking. It is perfectly visible in the pictures, which were placed on the facebook profile of " Journey in South Rethymno ". Local authorities and the contractor of the works appeal to drivers to be particularly careful when crossing this section of the road. In the coming weeks, further renovations will be carried out in the Kourtaliotiko Gorge area. Certainly some of them will be made using heavy equipment. It is also worth paying attention to all people working in this area. We are very pleased that this renovation has been treated as a priority. Everything indicates that the original date of completion of works will be maintained. According to the plan, the renovation is to be completed before the start of the Greek Easter, that is before April 28.